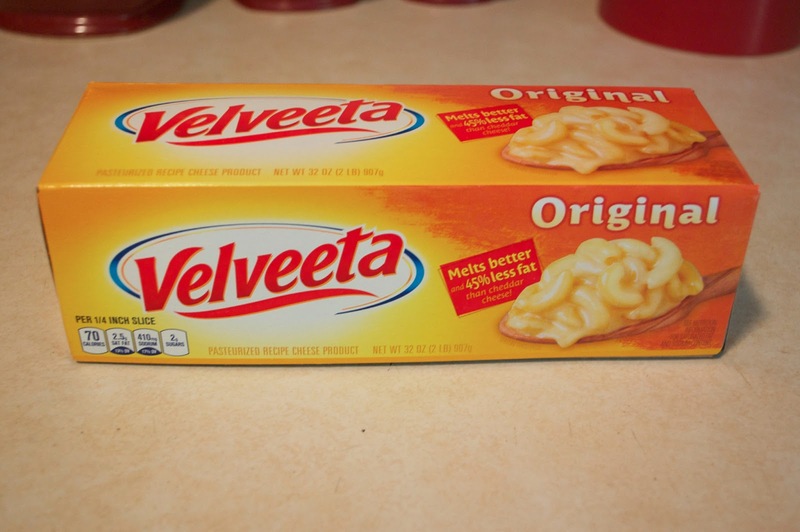 I was introduced to Velveeta at a young age. 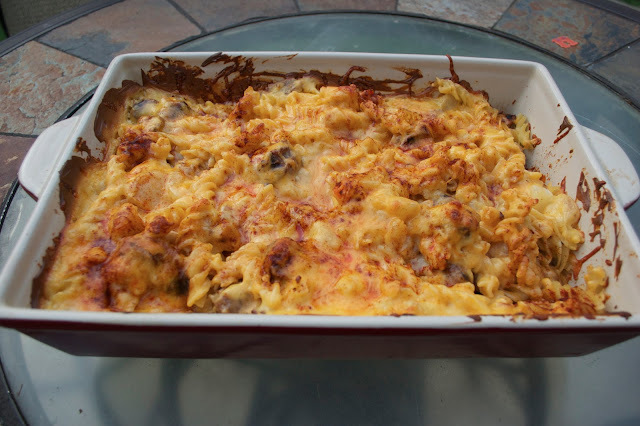 Growing up we would have tacos about once a week and my mom used Velveeta for the cheese sauce. My siblings and I LOVED to be able to lick out the Velveeta bowl - so much so that we had to rotate who's turn it was. Man, it was a good night if it was your night to lick out the Velveeta bow at our house!!! 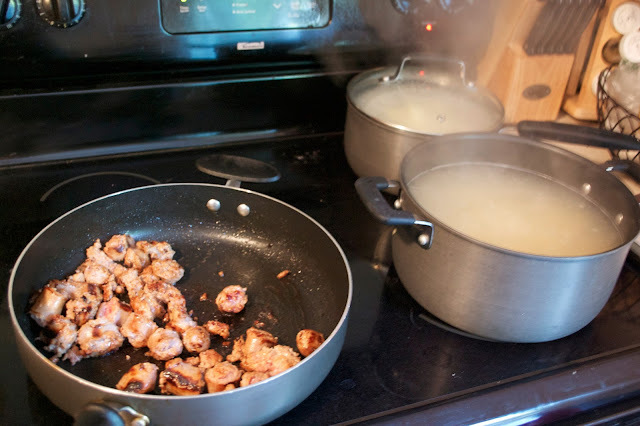 When water boils, add in potatoes to one pot and pasta to another pot. Cook sausage links until done. 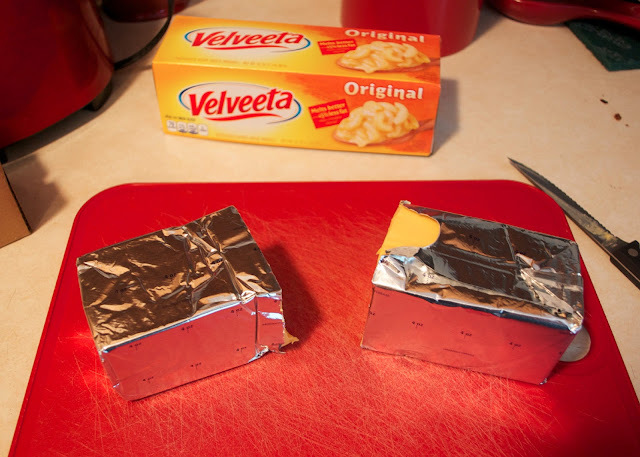 Use half of the 2lb Velveeta loaf, cut into cubes. 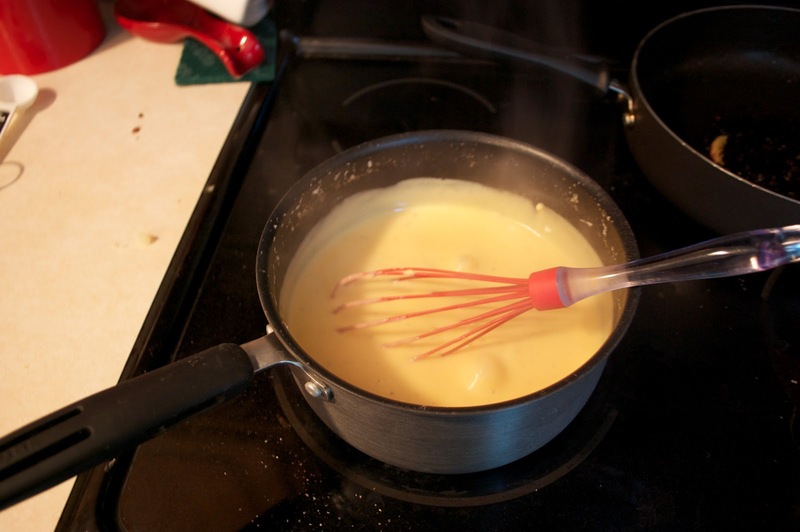 Combine Velveeta, milk, butter, and salt and pepper. Whisk until melted. 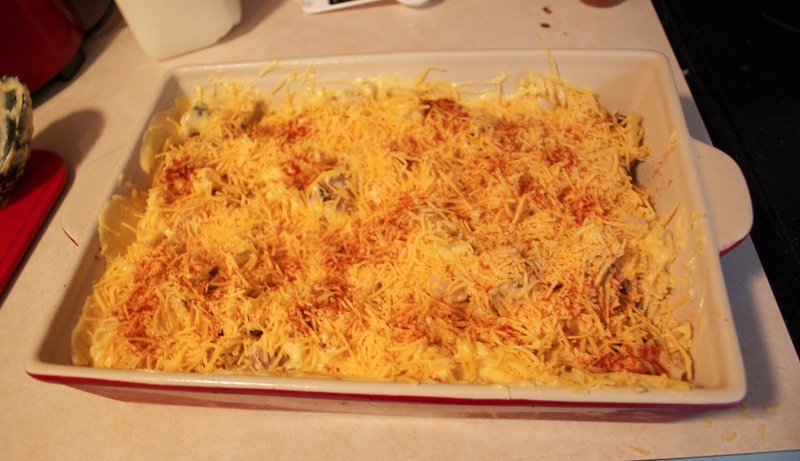 Pour cheese on top of casserole and mix. Top with cheddar cheese and paprika. 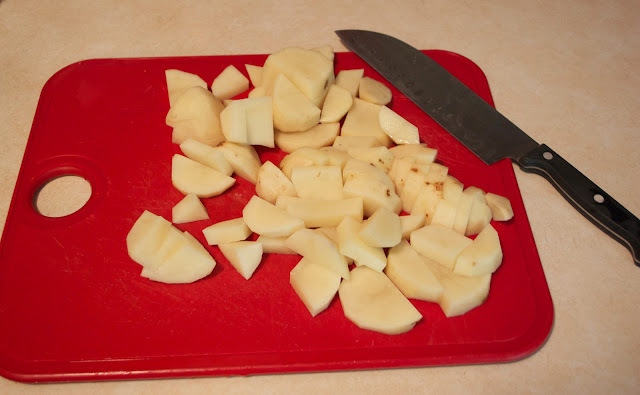 Bake at 350 for 25-35 minutes, until cheese is browned. The trick to this casserole is if you are pressed for time in the evenings, you can prepare the pasta, potatoes and sausage beforehand. 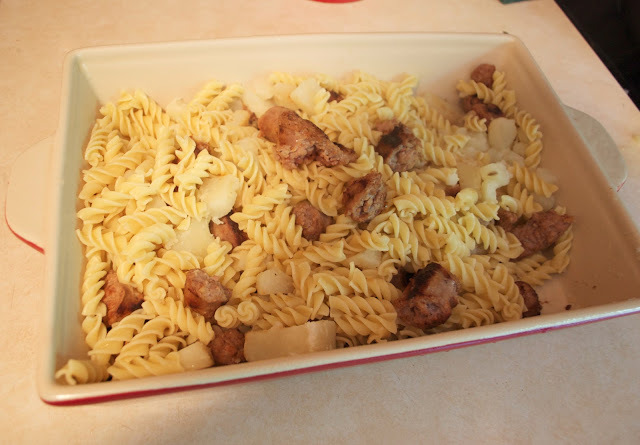 I cooked those ingredients in the morning before work, put them into the casserole dish, and then put into the fridge. 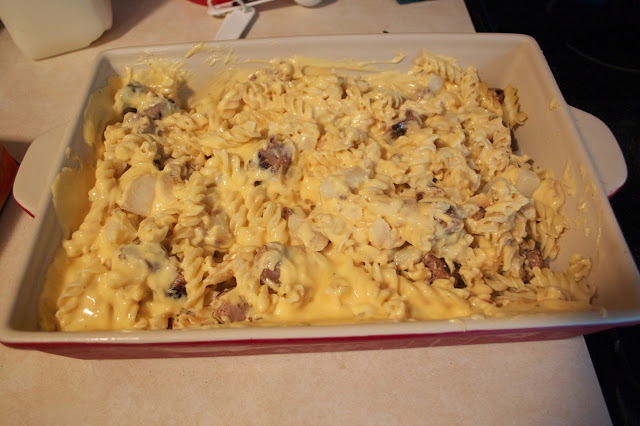 When I came home I made the cheese sauce, combined, and baked. Easy! You don't have to just use sausage for this recipe either. Ground beef, chicken, or even hot dogs could be good too! It also reheats well: I had it for lunch the next day and it was delicious! 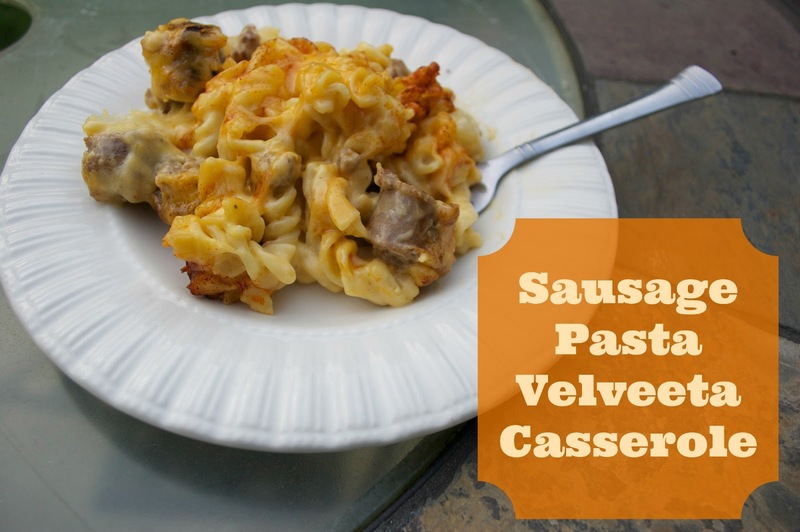 Now if this recipe has you drooling for some more Velveeta goodness, be sure to check out Velveeta on Facebook for more recipes! You can also read about my shopping experience for Velveeta here! This looks so comforting! Give me a spoon, the casserole dish and my night is perfect! I love the sound of your casserole! I think I would add bacon for my family!